Some relief could be coming sooner for drivers who use Interstate 95 in Northern Virginia, if Uncle Sam agrees to help. 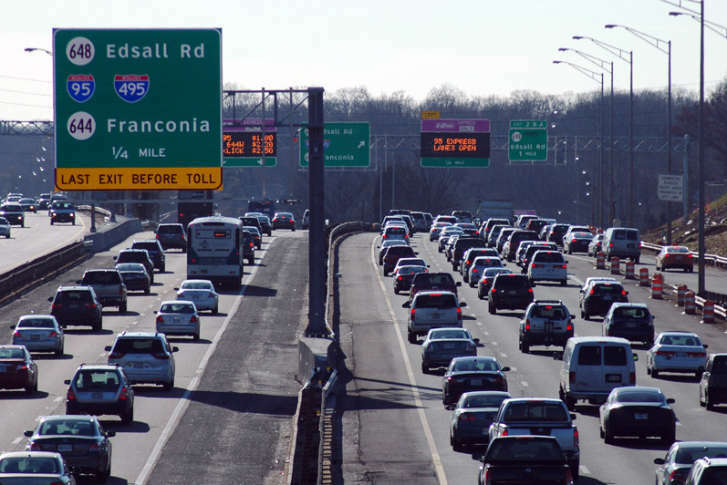 WASHINGTON — Some relief could be coming sooner for drivers who use Interstate 95 in Northern Virginia, if Uncle Sam agrees to help. The Fredericksburg Free Lance-Star reports that the Virginia Department of Transportation and the Department of Rail and Public Transit have applied for two federal grants that could bring in $1.5 billion to pay for some road and rail improvements. On the roads, the grants would be used to extend the 95 Express Lanes from their current southern terminus in Garrisonville to US 17 in Stafford County and for the Rappahannock River Crossing Project. The latter would add collector-distributor lanes along I-95 between US 17 and Virginia State Route 3 in Fredericksburg. On the rails, the grant money would add a third track in a part of Fairfax County and make improvements to the Long Bridge to help reduce congestion crossing the Potomac River, all to benefit Virginia Railway Express riders. Getting the money from the Fastlane and Tiger grants are not guaranteed, but officials tell the paper they are optimistic about their chances.